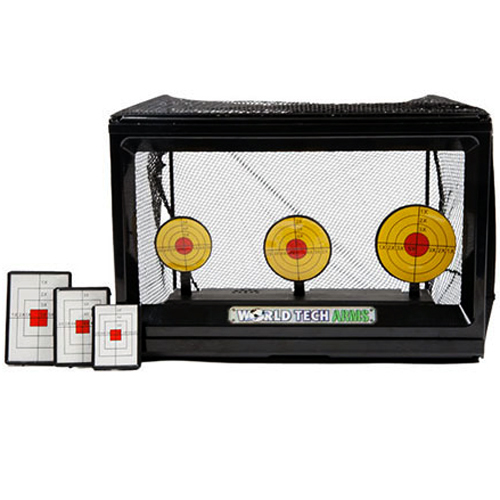 The Cybergun Sports Electronic 3-Target Board system is designed for head-to-head shooting contests. The targets automatically reset after being hit, and come in both square and round shapes. Shooters should stand at least 3 meters (10 feet) back and use airsoft guns with an FPS velocity under 320. AA batteries are required.